Get a feel for settler life in the well-preserved downtown Fort Collins district that includes over twenty restored historical buildings that are part of both national and local designated historic districts. Included is the Northern Hotel, a Fort Collins landmark that was restored to its former “Art Deco” elegance. While wandering about downtown you’re likely to notice a strong resemblance to Disneyland’s Main Street USA: we’re proud to say that it is modeled after our own Downtown Fort Collins! The alleys have been upgraded into European style walkways with potted flowers and Tivoli lights making the journey to the next place a beautiful experience of its own. 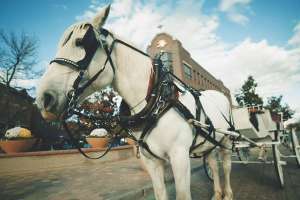 Old Town Fort Collins is lined with nature, tourist, cooking, retail and novelty and confectionery shops. There are a variety of restaurants (over 84 of them, actually) to provide a taste for any craving, and countless places to dine outdoors. Additionally, ride the only original trolley car west of the Mississippi through a beautiful historic Old Town neighborhood. And on any given day, you can enjoy the sounds of live music drifting through the newly renovated Old Town Square. 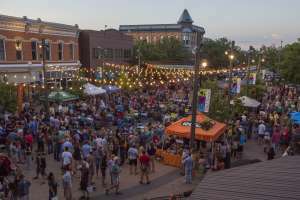 Events and festivals in Downtown Fort Collins are a staple during nice weather with weekly free concerts, beer and food and music festivals. Decades of event tradition in Old Town have brought in huge concerts while showcasing a vibrant Colorado music scene and an internationally recognized brewing industry. 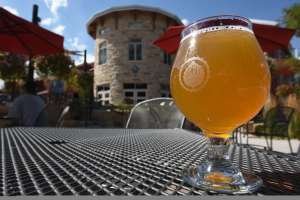 You can be a part of some of the most popular Fort Collins festivals including FoCoMX, the Colorado Brewers’ Festival, Tour de Fat and Bohemian Nights at NewWestFest. Historic Fort Collins was advantageously located along the Cache la Poudre River, and Downtown still boats proximity to all the major city sights. Museums, breweries, markets and Old Town Square are all within walking distance of the original Fort parade grounds. Power walk, stroll or ride a bike along the Poudre Trail, located just two blocks from Old Town Square, or take an historic tours and self-guided public art tours to get to know the Old Town area and learn all the stories. Dotted with art-covered pianos, romantic alleys, cozy restaurants and open plazas, downtown also makes a perfect date location. Downtown Fort Collins also has its very own Creative District which was put in place to serve as a hub for creative economic activity, which in turn enhances the area as a desirable place to live and visit. Downtown is rich in energy and it shows through an entrepreneurial spirit that is welcoming, exciting and infectious. You can encounter a diverse array of experiences all within the same block of historic buildings. Renovated 1800’s storefronts both showcase a romantic honoring of the west’s history while within they are embracing new technologies, innovative shops, and lifelong passions all focused on a high quality of life, making this a place of possibilities, coined the “New West”. 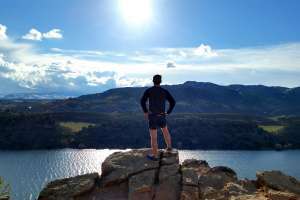 So many things to do from shopping, to theater and live performance shows, dining out, art galleries, or just meeting up with friends, Downtown is the ultimate Fort Collins experience. To plan your outings check our calendar for upcoming events in Old Town or visit www.downtownfortcollins.com for additional information. Downtown offers a wide range of restaurant options: from pizza to a quick lunch, fine dining to food trucks, and coffee shops to craft breweries. From the intersection of College and Mountain Avenues, the heart of Fort Collins, you can walk three blocks in any direction and find something to satisfy your appetite and wallet. Looking for a hearty meal after a day on the trails? Local and well-known flavors abound from steaks to seafood and margaritas to mojitos. You are sure to find it all in Old Town Fort Collins. 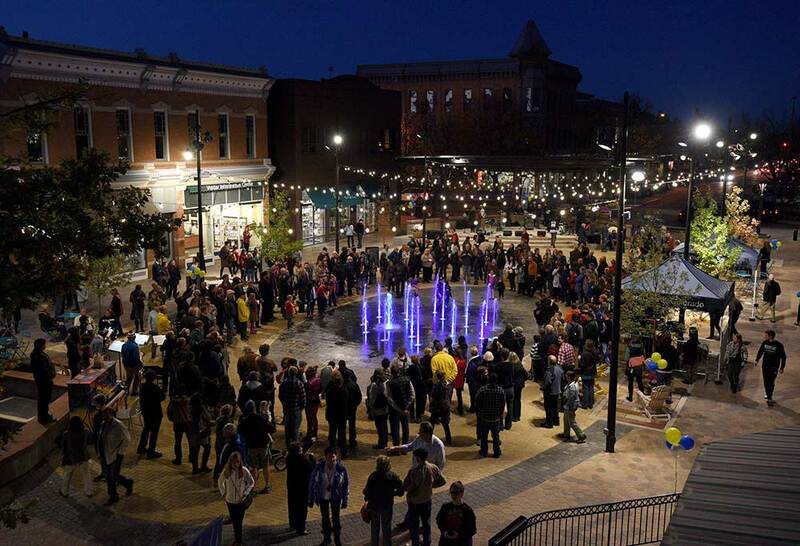 Downtown Fort Collins offers an abundance of activities during the day and in the evening. As a college town, the nightlife scene is a bustling, there is a vibrant mix of art, culture, dining, craft beverages, and live entertainment as well. Partake in the craft beverage scene and any of the trendy restaurants or bars downtown. Take in the ambiance while you sip a cup of locally roasted coffee, or stroll the streets to pick up an amazing find at a boutique shop. Old Town Square is the perfect gathering place to attend a summer concert, enjoy ice cream with the family, hunker down on the patio, or participate in any of our seasonal events. Be sure to look for the monthly Gallery Walk and Foodie Walk, or time your visit to take advantage of the live summer concert series, beer and wine pairings, and certainly, the magic of the holidays. Evenings downtown attract theater performances at nearby Bas Bleu, OpenStage, and the Lincoln Center. Even the Museum of Discovery offers fireside chats and events “after dark.” You can also keep up with events and gatherings by following our social media channels. Curious what’s going on in Old Town at this moment? Check out the live video feed here. Downtown offers a variety of parking options, including on-street, parking structures, and surface lots. In general, the on-street parking in the core of downtown has 2-hour time limits, while the parking around the periphery of downtown has free, open, all-day parking. 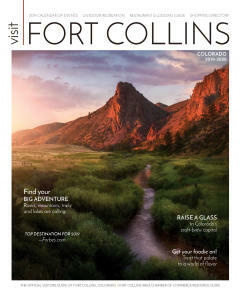 Become a Visit Fort Collins Partner! © 2019 Visit Fort Collins.